When Chattanooga made the national news one evening in 1969, it wasn’t for a good reason. Air pollution had won the Tennessee industrial center the federal designation of being the dirtiest city in America. What followed was not only the near-term response to adopt local air pollution regulations and install pollution controls on factories, but a decades-long effort of environmental and community improvement that included discussions involving citizens, public and private sector, nonprofits, business and labor -- and a focus on the central, but neglected, asset of the Tennessee River. Chattanooga has gone from a “tough grimy place where there was no investment, and very few prospects,” said James Brooks, program director at the Washington-based National League of Cities, to a city where quality of place is credited with helping attract investment such as Volkswagen’s $1 billion North American assembly plant that opened last year on a former brownfield site. That VW plant now employs 2,500 people. It is a place that has “really completely transformed itself and you can see a beginning and end,” Brooks said. The challenge of urban reinvention isn’t unique to Michigan. Cities and regions around the country have found, or are looking for, ways to combat core industry decline and population loss. From Flint to Chattanooga, Saginaw to Pittsburgh, the goal has been the same: revitalization to draw back residents, talent and investment. There are common themes in this hunt: Identifying and building off core community assets; engagement by a variety of stakeholders, including foundation, public and private entities and citizens; and collaboration on strategies. Oh, and it takes time. Between 1979 and 1983, the collapse of the steel industry precipitated the net loss of more than 100,000 jobs in the five-county region that includes Pittsburgh, said Bill Flanagan, executive vice president of corporate relations for the Allegheny Conference on Community Development, a civic leadership organization. The region saw 10 percent of its jobs disappear -- and a similar percentage of people moved away, he said. At first, the reaction was denial in the community that the mills would never come back. But in the early 1990s, with a new Pittsburgh mayor and improving fortunes among companies, came a benchmarking study commissioned by the Allegheny Conference, analyzing the competitiveness of the region. It was “a galvanizing moment for civic leadership here,” Flanagan said. The study showed the Pittsburgh region lagging in economic growth, and, most markedly, illuminated a lack of united leadership and shared strategy and vision. Hundreds of civic leaders were brought together to identify and develop strategies to make Pittsburgh competitive. The result was a focus on using existing strengths to propel future job growth in such areas as metalworking, chemicals, health systems and biomedical and technology. The mantras were entrepreneurship and teamwork. A new 10-county economic development organization, the Pittsburgh Regional Alliance, arose to unify marketing and serve as a one-stop shop for any business interested in locating or expanding in the region. Another new group brought together county commissioners from all 10 counties to develop priorities for the state’s capital investment, based on regional benefit. While regional structures were forming, there was also an effort by foundations, the state, universities, business, the conference and the Pittsburgh Technology Council to boost technology transfer and commercialization from Pittsburgh’s Carnegie Mellon University and University of Pittsburgh, and to encourage entrepreneurship and innovation. Examples include the Pittsburgh Life Sciences Greenhouse, founded as a public/private partnership in 2001 by the state, the University of Pittsburgh, Carnegie Mellon, the University of Pittsburgh Medical Center and Pittsburgh’s regional foundation community, and Innovation Works, an organization funded by the state and area foundations that invests in early stage technology companies. In the span of 30 years, from 1979 to 2009, the area’s employment picture was transformed. While more than one fourth of the region’s work force in 1979 was employed in manufacturing -- some 279,000 people, including 125,000 in the steel industry -- the count by 2009 dropped to 98,500 jobs or about 10 percent of the region’s total, according to a 2009 report produced by the conference. The nearly 68,000 jobs in 1979 that were in health care and life sciences had swelled to 130,000 by 2009 and represented the region’s largest employment sector. Technology-related companies also posted large gains in number and employment. There was growth in arts and culture, with Pittsburgh’s arts cultural district becoming one of the largest arts districts in the country. There was environmental progress, including brownfield redevelopment and jobs growth in green-related industries and occupations. The Detroit Regional Chamber of Commerce, in 2010, led a local delegation to Pittsburgh to learn more about the area's economic turnaround. The lessons brought back included committed leadership of high-profile CEOs, collaboration, leveraging of higher education assets and diversification that didn’t overlook existing key industries. The chamber is incorporating strategies that reflect those ideas in its economic-development efforts. Its upcoming Mackinac Policy Conference will feature a discussion on urban revitalization. Benjamin Erulkar, the chamber’s senior vice president of economic development, said Pittsburgh is "a standout" for what it has accomplished. "If people don’t want to move to your city, or if people want to leave, then your prospects of succeeding at urban reinvention are almost nil," he said. In Chattanooga, work of a citizens group charged with rethinking the Tennessee River waterfront produced a master plan stretching along some 22 miles. A nonprofit, River City Company, was created in 1986 to oversee a 20-year blueprint that focused not only on the river but also the city and its downtown. River City used $12 million from local foundations and financial institutions to assemble land and fund designs. 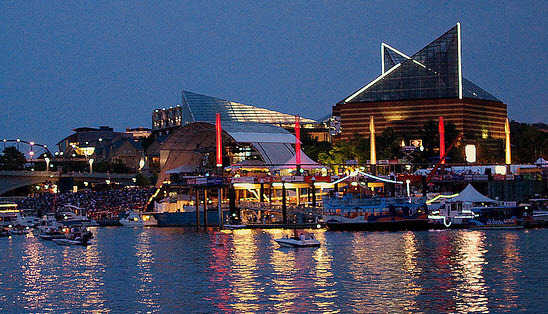 Kim White, River City president and CEO, said resulting projects have included the $45 million Tennessee Aquarium, a riverwalk done in partnership with county government, a downtown movie theater, and a 41-unit apartment complex. River City also raised $8.5 million from the private sector to build a second elementary school in downtown Chattanooga to join a new school being built by the county. The privately built school is now operated by the county and is a school of choice for people who work downtown, as well as those who live in the surrounding neighborhoods, White said. Smaller-scale revitalization can also have a big impact. One example is the University of Pennsylvania in west Philadelphia, which, in the mid-1990s, embarked on a multifaceted initiative to improve deteriorating neighborhoods around it and make them safer. Penn's goal: making the university more desirable and viable. The university developed partnerships with the community and business and invested in housing and retail development, increased purchasing from community businesses and partnered with the school district and teachers union to develop a new school. In implementing its West Philadelphia Initiatives, the university “became a model for how a higher education institution can integrate itself much more seamlessly with the community that surrounds it,” said Lisa Prasad, principal in Philadelphia-based U3 Ventures LLC. Prasad and U3 President Omar Blaik were administrators at the university who implemented the initiative and then created U3 ventures to work with other urban universities and health centers to try to aid community development, Prasad said. U3 Ventures has been engaged in Detroit’s Midtown neighborhood. For example, Prasad said, U3 is working with Wayne State University, Henry Ford Health System and Detroit Medical Center to devise programs to help those institutions leverage their economic impact in Detroit, such as boosting purchasing from local businesses. In Cleveland, the Cleveland Foundation in 2006 joined a coalition to stimulate new investment in the neighborhoods surrounding the University Circle area that houses the Cleveland Clinic, Case Western Reserve University, the University Hospitals and others. While work has included transportation, housing and economic development projects, a strategy that has brought national attention is the creation of cooperatives – community-based, worker-owned, “green” enterprises that leverage procurement from anchor institutions. The cooperative strategy seeks to tap into the $3 billion in goods and services that the three main institutions purchase every year and “the possibilities are endless,” said Lillian Kuri of the Foundation.